"Cooper Peak is one of the easier 'high' peaks to climb along the Highway 108 corridor. It is named after W. F. Cooper, a Tuolumne County cattle rancher of the mid and late 1800s. The USGS says its summit is 9557 feet above MSL. The climb to the summit is fairly steep (a little over 1000 foot climb) within a three mile hike from the parking area (each way). It took us about 2 hours to reach the summit and only about 45 minutes for the return. The hike starts at the Coyote Meadows horse camp (approx 8500 MSL). This trailhead leads to the Emigrant Wilderness. Take the pack trail to the South/East toward Cooper Meadow for about ¾ mile. At the “summit” of the trail, climb to the east. There is a sign here that identifies the border of the wilderness area. You are now off any trail, but just keep going straight up the forested mountain. If you keep climbing up and pay attention, it is really hard to get lost. We marked our route with ducks, but after getting above the trees, the route back to the pack trail was obvious. Most of the climb above the tree line is along a ridge to a false summit. The hike between the false and real summit is the most difficult part of the hike because of loose rock. Much of the rock is volcanic and provides many interesting formations. See photos. Making your own switchbacks across and up the slope to the summit is a must. The summit is like most Sierra high peaks: magnificent! The view to the west looks down the Stanislaus River canyon toward Pinecrest Lake, Dodge Ridge, and Sonora. Looking toward the east is Castle Rock, the Three Chimneys and the Sierra Crest. 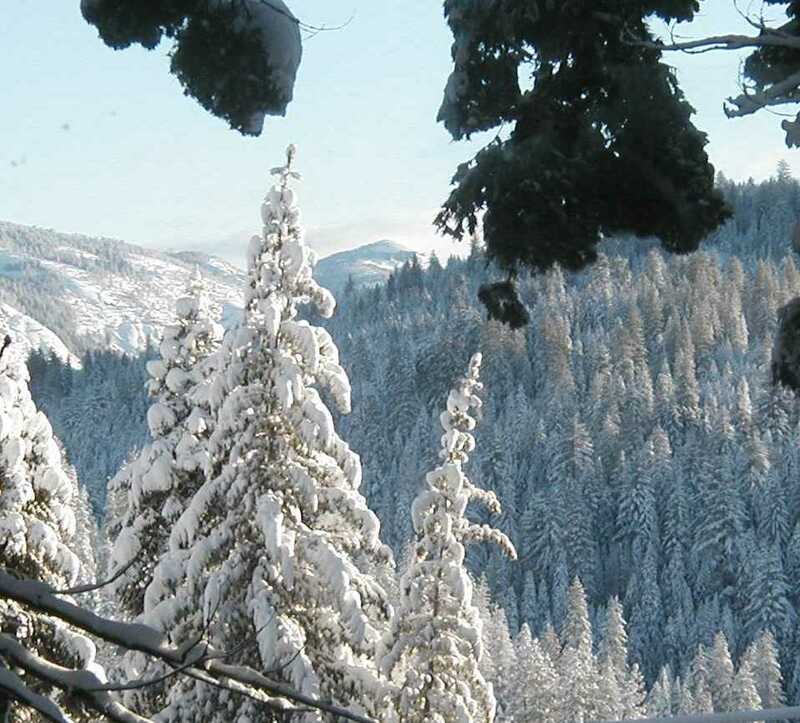 Across the Stanislaus River canyon are the mountains north of the Gianelli Trailhead. There is a sign-in tablet inside a jar at the summit. These are always fun to read and leave your thoughts for others to read." Kudos to my son-in-law, Tom, for writing the above description about this Cooper Peak climb. He is the person who experienced the hike and took the photos. He also gives the driving directions in case you want the challenge to climb Cooper Peak. Directions: From the Summit Ranger Station, take Highway 108 east for about 4 miles to forest road 4N12. Turn right on 4N12 and follow for about 10 miles. Turn right toward Hull Creek Reservoir. This is still 4N12. Drive another 4 miles to road 4N67. Turn right and drive to Coyote Meadows Horse Camp and park. You will likely see plenty of horse trailers. The pack trail is to the left as you drive up to the parking area. Note: If you follow the road further, you will enter the Mad Hatter 4 wheel drive trail. This trail is also very scenic, and can be a lot of fun. It is meant for jeeps and off road motorcycles, but don’t take your SUV.